Founder and president Jeffery Tobias established Landscapes by Jeffery more than 30 years ago here in Westlake Village, CA, to provide beautiful landscapes to Beverly Hills, Malibu, Hidden Hills, Ventura County and surround areas. He earned his Bachelor of Science in agronomy from Penn State University in 1982 and began his career as the golf course superintendent at Los Posas Country Club in Camarillo, CA. Two years later, he opened his own landscaping company. 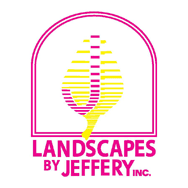 Now with more than 60 associates, Landscapes by Jeffery has worked with more than 1,000 clients. We have also garnered more than 100 awards on the local, state, and national level for our landscape designs.Founder and president Jeffery Tobias established Landscapes by Jeffery more than 30 years ago here in Westlake Village, CA, to provide beautiful landscapes to Beverly Hills, Malibu, Hidden Hills, Ventura County and surround areas. 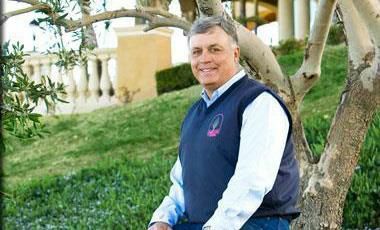 He earned his Bachelor of Science in agronomy from Penn State University in 1982 and began his career as the golf course superintendent at Los Posas Country Club in Camarillo, CA. Two years later, he opened his own landscaping company. 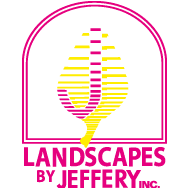 Now with more than 60 associates, Landscapes by Jeffery has worked with more than 1,000 clients. We have also garnered more than 100 awards on the local, state, and national level for our landscape designs. Landscapes by Jeffery will create and bring to life your vision for your property, whether it’s a home in Calabasas or an orchard or a vineyard in Beverly Hills and Ventura County. Our landscape architects and planting team experts will collaborate with you to develop a unique layout that will best enhance your estate. We pride ourselves on attention to detail, making sure no opportunity is missed to paint a perfect picture for you and your guests. Going above and beyond your imagination, we provide renderings of your landscape design. After you have narrowed down the design direction, we begin placing plants and other elements on your property, so you can see the scale and perspective in real life. In addition to design work, we also take care of the installation and cleanup from start to finish. You don’t need to manage multiple contractors to have a stunning landscape. Our services include specialty jobs, from heavy soil movement, grading and hydroseeding to wood construction and water features. You can call us for custom stone creations and masonry for driveways, retaining walls, and pools, as well. We do repairs and installations for all these features and more. One of the keys to a luxury landscape is lighting. Our team can help you plan for and set up light fixtures for illumination, safety, and security. To keep your property looking lush, you must have a functioning and efficient irrigation system. At Landscapes by Jeffery, we can create and install a custom system, or we can repair your existing irrigation system. With regular maintenance, your property will remain gorgeous for years to come. We can schedule and perform your maintenance services, such as pest and weed control and pruning, so you won’t have to hassle with these tasks. You can simply enjoy your property. Our close collaboration with our clients produces works of art that realize their vision. Our landscaping installations will draw the attention and admiration of your neighbors. Nothing gives us more joy than seeing our clients’ homes recognized for excellence! 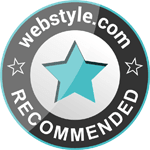 Our clients deserve the praise for seeing their vision through to completion. We’re most grateful they let us make it real.